In both the United States and in Canada, ‘pictogram’ is defined as a “symbol” along with other “elements, such as a border or background color”. So a complete GHS ‘pictogram’ is actually two part; a graphic symbol on the inside, and a frame surrounding it. Both countries include an allowance only to show a ‘symbol’ (ie. 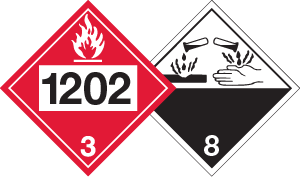 not a ‘pictogram’), or, just the name of the symbol, on the SDS [Hazcom 2012, Appendix D, Table D.1, Item 2(b); WHMIS 2015 Hazardous Products Regulations, Schedule 1, Item 2(b)]. So … no complete ‘pictogram’ is required on the SDS in the US or in Canada. If I choose to show a complete ‘pictogram’, and not just the ‘name’ of the symbol on the SDS in Section 2, do I have to use a red frame? The answer: No. the ‘pictogram’ would not have to show a red frame on the SDS. As mentioned above, in both countries, what is required on the SDS is the ‘symbol’ and not the complete ‘pictogram’ [Hazcom 2012, Appendix D, Table D.1, Item 2(b); HPR, Schedule 1, Item 2(b)]. What that means, is that if you choose to include a complete ‘pictogram’ on your Hazcom 2012 or WHMIS 2015 SDS (ie. the ‘symbol‘ plus the frame), you can include the frame in the color you prefer since the requirement on the SDS is for the ‘symbol’ only and not the ‘pictogram’. There is no specific requirement in Hazcom 2012 or the HPR to have a red framed pictogram on the SDS. The red frame requirement is only on the label (Hazcom 2012, Appendix C, Section C.2.3.1; HPR, Part 3, Section 3.1). 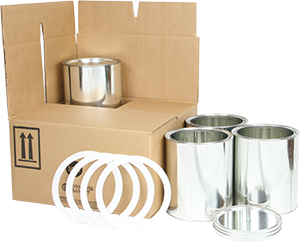 The above SDS information is applicable in Canada and the United States. Section 2 SDS requirements may vary, depending on what region of the world you are dealing with. Should you have any questions regarding SDS’s, please contact ICC Compliance Center at 1-888-442-9628 (USA) or 1-888-977-4834 (Canada).